Congress created the EB-5 program in 1990 to benefit the U.S. economy by attracting investments from qualified foreign investors. Under the Program, in order to attain permanent residency, each investor must prove that at least ten new jobs were created or saved as a result of the EB-5 investment. More than 25 countries, including Australia, Portugal, Spain, and the United Kingdom, use similar programs to attract foreign investments, however, the American program, even though it is the cheapest (at $500,000 for an investor, his / spouse and all children under 21) it is the only investment program that will allow for the full return (plus interest) of the investment capital, it also requires substantial risk. The increasing popularity of EB-5 has brought a whopping $18 billion in investments into the United States. The majority of EB-5 visas come through the Regional Center Program, a program that allows designated entities to pool investments and utilize indirect and induced job creation. The Regional Center Program was due for renewal on September 30, 2015. The increasing popularity of the program and the size of the investments ensured that Congress would certainly not allow the program to continue without reform. A bicameral, bipartisan proposal to reauthorize and reform the EB-5 Regional Center Program, Senate Bill 1501 was introduced by Senate Judiciary Committee Ranking Member Patrick Leahy (D-Vt.) and Chairman Chuck Grassley (R-Iowa. ), with the support of House Judiciary Chairman Bob Goodlatte (R-Va.), Ranking Member John Conyers (D-Mi. ), Immigration Subcommittee Ranking Member Zoe Lofgren (D-Ca.) and Congressman Darrell Issa (R-Ca.). Senate Bill 1501 looked to overhaul the program, including amongst other matters, an increase in the minimum investment amount, an attempt to create a two tired program by redefining TEA’s (targeted unemployment zones), new rules on direct employment and integrity measures. The authors of the bill certainly looked to champion the underdogs within the industry at the expense of the urban elite. Bodies such IIUSA and the EB-5 Investment Coalition made bona fide attempts to bridge the gap. The EB-5 investor visa is essentially a job creation program. The amount a project can raise through EB-5 funds is directly related to how many jobs can be created. For a project to raise EB-5 investments, a regional center (or RC) is not mandatory. Projects can raise money through direct investment into a new commercial enterprise. A regional center or RC thereby represents one of two ways for EB-5 investors to obtain conditional permanent residence. 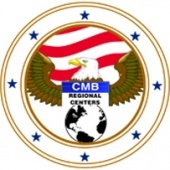 An EB-5 Regional Center is an organization designated by United States Citizenship and Immigration Services (USCIS) that sponsors capital investment projects for investment by EB-5 investors. Instead of investing directly into the project, the RC sets up an investment fund for the benefit of the EB-5 investors. Investors purchase equity stakes in the investment fund. Then, the fund either purchases equity in the job creating entity (the equity model) or loans the job creating entity money (the loan model). The job creating entity then uses the investment from the fund in the project to create jobs. The major advantage in obtaining regional center designation is that the regional center can take advantage of indirect job creation. The investor’s funds are at risk, there is no guarantee of a return should the project fail. There is very broad consensus on the implementation of integrity measures as Congress has prioritized program integrity. These measures address national security concerns and fraud. Some of these measures include background checks for Regional Center owners, banning participation in the Program for anyone who committed certain crimes including drug trafficking and terrorism, and forbidding foreign ownership of a Regional Center. EB-5 Financing, Which Project to Choose? There is a direct comparison to EB-5 and Immigrant Investor Programs from other countries, where in most cases, the return of the investment is guaranteed. The EB-5 Program compels foreign investors to bear the investment risks. It mitigates the government risks in underwriting the projects and conducting due diligence. It leaves the project assessment and due diligence to the private sector. The EB-5 Program has provided alternative financing to high-risk and low-return privately owned projects that otherwise wouldn’t be funded. EB-5 capital is thus, a unique alternative to traditional sources of funds. The EB-5 program has typically been the preferred route for real estate development projects, as developers have been increasingly turning to EB-5, as a plausible (and increasingly credible) alternative financing mechanism. It can be structured as a short-term low-interest non-secured loan— without diluting the property owner’s equity. However, not all real estate projects are viable and many times, large real estate projects have been hampered by construction delays. Other projects in other industries, such as transportation and technology have emerged as open alternatives to real estate. The viability of transportation projects speaks for itself. Transportation around New York City alone is a $40 billion industry. UK’s decision to leave the European Union, or BREXIT increased interest in the EB-5 Investment visa. Deep economic uncertainty in the UK and Europe as a whole can only serve to divert interest away from those regions to the much more stable United States. In the immediate aftermath of BREXIT, pound sterling fell to its lowest level since 1985. Indeed, the last year showed that the US Dollar will continue to be a safe and reliable currency to do business with and invest in. Greater interest in the United States will not just be a product of the US’s stability and macroeconomic strength; it will also come at the expense of many rival immigrant investor visa programs around Europe. In countries like China, a primary selling point of many of these programs, such as Cyprus and Malta, is that soon after the application process, an investor is granted a conditional European residence card, allowing the individual to reside indefinitely anywhere in the EU. For investors looking to enroll their children in Britain’s world-class educational institutions, for example, such programs provide a straightforward solution. Brexit ensures that this pathway is no longer a viable one. The EB-5 Investment Regional Center program is ideal for the retiree or inactive investor due in large part to the “indirect employment” feature of this program. The Regional Center Program removes the employee requirement of the Regular program and replaces it with a less restrictive “indirect employment creation,” which allows the investor to qualify by proving a combination of 10 direct and/or indirect employees. UK born, Mona, a dual licensed attorney, practiced as a Government Prosecutor with the British Crown Prosecution Service, before moving to New York, USA. Mona has over 19 years of experience and extensive knowledge of all facets of U.S. immigration law; her practical expertise ranges from specialist business petitions to complicated, multi-issue federal deportation litigation. Highly proficient and experienced in EB-5 law, Mona was voted top 25 EB-5 attorneys in the US 3 years in a row. Mona is a published author and regularly speaks at seminars worldwide, interviewed by mainstream news channels, quoted in major newspapers. Mona is a member of the IIUSA’s Leadership Council and a member of the Public Policy Committee and also an adjunct professor at Baruch University, New York City. And have actively assisted in bringing millions of dollars of investment money into the US, including for major projects in New York.